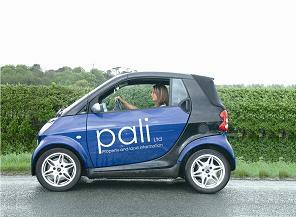 Pali was formed to provide conveyancing and environmental reports to solicitors. Over the years, we have developed our online features to encourage our clients to leave behind the old methods of ordering and receiving data such as mail, fax and even email. Our success in this endeavour has seen us grow rapidly. For example, our last three years have seen increases in profits of 55%, 8.5% and 60% respectively. Over the same period, our turnover has increased by 87.5%. When we started the company we had a defined objective which was that the company could be run “from the back of a boat”. This could only be achieved by a high level of online technology and computer expertise. We have the facility to be a “paper free” office and through our system our clients have no need to print our reports. They can read them and forward them via email to their own clients or other colleagues or companies and files are auto-archived on our Cloud based system. One of our most appreciated features is our search pack facility which enables our clients to order their most popular searches with a click of a button, saving time and frustration. This time saving system along with many other features included on the Pali system has been achieved by employing our own in house computer programmers and being proactive in adopting and developing modern ideas such as developing a Cloud based system. Our system archives data and orders provided by Pali along with clients own records and files. We are aware of the ever changing online landscape and have developed an App for any Apple or Android device which allows our clients to place orders and interrogate their company activity 24-7 from their mobile phones or tablet devices. We have the capability to integrate with clients case management systems and to generate loyalty, we developed a website www.palilaw.com, a lead generator which is capable of selecting a specialist solicitor in the area closest to the enquirer. We also have the ability to integrate with all our suppliers via XML although they may not all have this capability, our major suppliers do. As our company is largely property and address based, we have recently taken the decision to spatially geocode all of our orders. All of the requests submitted to our system by our clients now automatically have the coordinates of the property saved in the database, along with a polygon mapping the boundary. This makes the process of ordering third party reports and gathering information on specific buildings and land quicker and easier. It also mitigates any discrepancies in addresses which can cause issues for systems which are solely address based. We are currently developing a system which will enable our clients to view their orders on a map and access any reports through that. Once the address is entered and before the order is placed, the system will interrogate the spatial data and recommend appropriate extra reports such as coal mining, fracking, wind farms, flooding and many more. This is a great help when placing orders outside of areas which are familiar. Our versatility enables us to take payment in any manner the client wishes. Up front by online credit/debit card. By direct debit on monthly statement. Bank transfer, cheque or, heaven forbid, good old cash. Our marketing encompasses all the established methods although we limit telephone canvassing. 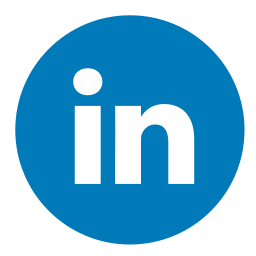 We are present on Facebook, Linkedin, Twitter and take advantage of the tools Google offers such as analytics, Google+, Google Pages, Google Places and Adwords. We constantly write blogs for our customers information purposes which are often picked up by the industry magazines/websites. You may recognise Nicole, Kirsty and Amanda from your trade magazines but we also write hundreds of SEO blogs specifically designed to give us a page one ranking on search engines for specific key words and phrases. This has proved to work very well and is now a service we offer to our clients. We plan for the future by exploring the newly available services, products and data we think may be of interest to our clients. When we locate something new we will consult with our clients and if they feel it could be of benefit we will integrate it into our online system. Interfacing with clients case management systems ties them in to Pali and makes it more difficult for our competitors to poach them but most importantly, to ensure our future. We give a service which exceeds our clients expectations as we are dedicated to making our clients lives easier so the answer is always yes, regardless of the request. As we have expanded so has our geographical footprint. A web presence means our client can be located in any area remote from our office. To service the whole of England and Wales we decided to franchise and now have offices across England and Wales all providing a uniform service. As the industry become more digitised so our service will become slicker and quicker. We are great believers in training and development and currently have eight apprentices and trainees in our office with several more employed at our franchise offices. Our online presence means we are found more often by members of the public and some of our products are of interest to them. We feel this element of our company will increase in the digital age we find ourselves in. This brings its own problems. As we are reliant on electricity, internet providers, phone companies and even our own in house hardware and software therefore business continuity and disaster recovery are massively important to us. To this end the “from the back of a boat” philosophy has kept us safe. As we recently made the decision to scan all of our notes working papers, internal documents and files and move them to a Cloud based storage system as well as our emails, we can run our company from anywhere in the world using a static or portable device. In addition to this our servers are backed up at two remote points and our internet hardwire service is safeguarded by wireless 4G, should anyone accidently cut the cable. The future is here today. The future is Pali.